Esthetica Clinic offers innovative, painless and irritation free laser hair removal. The Soprano ICE Platinum laser is convenient and permanent and does not cause scarring, pigment change or irritation of the skin. The Soprano ICE Platinum is the safest and most comprehensive hair removal treatment available today. The Soprano ICE Platinum combines 3 laser wavelengths into a single innovative handpiece. It not only targets the anatomical structures within the hair follicle but also works on different tissue depths. By combining the absorption and penetration levels of three different wavelengths, it is able to offer the most comprehensive treatment in terms of coverage and comfort. Soprano ICE Platinum is the fastest laser available within the industry. A small area such as an upper lip can be treated within 5 minutes. Everyone is individual but we would expect around 6 treatments over a 6 month period. Yes. The Soprano ICE Platinum is clinically proven to be safe and effective as a hair removal method. Yes. Soprano ICE Platinum can treat all skin types. Please note that grey and white hair cannot be treated as they do not have any melanin. Your medical history will be discussed with you prior to treatment as part of your free consultation. You will have an opportunity to ask any questions you may have. We will always carry out a small test patch 24-48 hrs before your treatment begins. What aftercare and downtime requirements does the treatment have? The Soprano ICE Platinum has zero down time. You will recover and return to work / daily activities immediately. Our skin suffers daily from exposure to sunlight, pollution, stress and harsh environment. Laser skin resurfacing is a fantastic non-ablative cosmetic facelift that restores skin to its beautiful and natural glow. In 30 minutes, you can have a face lift without the need for needles, knives, or down time. What is ClearLift Hollywood 4D Lift and how does it work? Harmony ClearLift is an innovative fractional non -ablative 1064 nm laser. 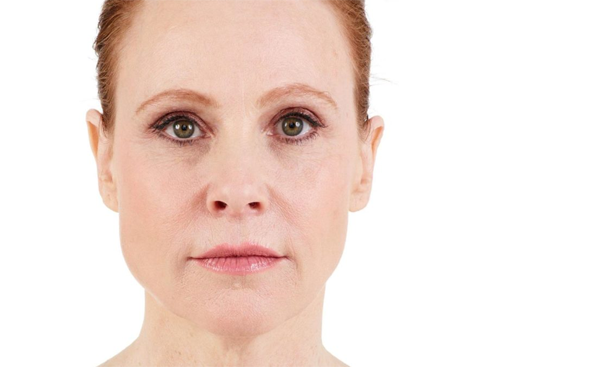 Unlike traditional skin resurfacing, this technology divides the laser into multiple fractions. This allows it to penetrate deeper into the dermis and cause regeneration from within. The outer skin is not harmed in any way, and this means there is little or no redness. There are essentially no signs that you have had the treatment. ClearLift is ideal for the lines around the eyes and mouth but is suitable for the cheeks and forehead too. 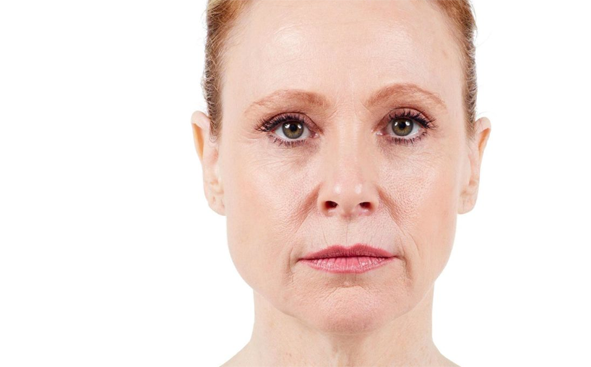 The ClearLift Hollywood 4D Lift takes approximately 25 minutes to complete. Everyone is individual but we would expect around 4 -5 treatments. Most individuals will however see clear results after just 1 treatment. Is ClearLift Hollywood 4D Lift safe? Yes. The Harmony ClearLift is clinically proven to be a safe and effective skin resurfacing technique. Most people are suitable for skin resurfacing. The ClearLift Hollywood 4D Lift has zero down time. You will recover and return to work / daily activities immediately. It is recommended that you do not expose yourself for prolonged periods of UV for 28 days. It is recommended that SPF and antioxidant protection be worn post treatment. It is recommended not to exercise for 12 hours. Vascular legions are caused blood vessels and capillaries malformimg directly under the skin. These become a cosmetic concern as they can be visible as a redness of skin. What is Vascular Lesion Removal and How does it work? The Harmony XL Pro laser exposes the vascular legion to short pulses of visible light. This causes a sharp increase in temperature which bursts the vessel’s wall. The vessel is then absorbed back into the blood, making it no longer visible. Vascular lesion removal takes approximately 30 minutes. Everyone is individual but we would expect around 3 -6 treatments over a 5 month period. The treatment is quick and effective. Most people are suitable for Vascular Lesion Removal. After the treatment there may be redness and swelling similar to that of minor sunburn. Application of a cool pack is recommended immediately after treatment. The application of an Aloe Vera gel is recommended for 42 hours. Avoid hot baths and any heat treatments for 24 hours. Avoid scratching the treated area for 24 hours. Acne is a common skin condition that can have serious mental and physical effects. Many people suffer from Acne in their teens, but is common for the problem to persist into their 20’s and 30’s. 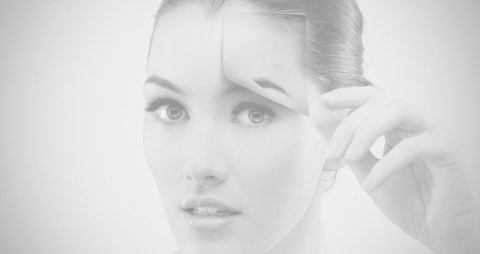 Acne can manifest itself as pimples, blackheads, whiteheads and sometimes deeper cysts. These can occur on the face, neck, chest shoulders, back or upper arms. What is ClearSkin Acne Treatment and how does it work? Most skin clinics rely on the dated ‘blue light’ based acne treatments. At Esthetica however, we are leading the way and have invested in brand new technology. We use the innovative Harmony XL Pro’s ClearSkin laser. This is the first technology of is kind to combine non-ablative laser with simultaneous contact cooling and vacuum technology. The ClearSkin Acne Treatment takes approximately 30 minutes to complete. You would typically require 4-6 treatments over 8 weeks. Most people are suitable for Clearskin Acne Treatment as it is able to treat all skin types. The ClearSkin Acne Treatment has zero down time. You will recover and return to work / daily activities immediately. Pigmentation of the skin results in dark patches that can be difficult to treat. This is a condition is usually caused by excessive exposure to the sun or simply just age. What is Pigmentation Removal and How does it work? However, unlike traditional lasers the Harmony XL Pro’s ablative power works deep into the skin. The outer skin does not get burned and this means down time and skin redness is practically non-existent. The laser shatters the melanin by exposing the pigmented area with short pulses of visible light. Once the melanin is broken down the pigmentation is absorbed by the body, leaving the dark patches no longer visible. Pigmentation removal takes approximately 30 minutes. Most people are suitable for Pigmentation Removal. It is recommended to ear sunscreen SPF 50 if exposed to sun. You would typically require 6-7 treatments/once every 8 weeks. Please note that the age, ink type and quality of the tattoo will determine how many treatments are required. Most people are suitable for Laser Tattoo Removal. Laser Tattoo Removal causes a pain similar to the sensation experienced when getting tattoo. A numbing gel is available if required. A cold press is recommended for 24 hours to reduce inflammation and discomfort. Physical activity is not recommended for 24 hours. Saunas and Steam Rooms are not recommended for 24 hours. Shaving should be avoided in the treated area for 10 days. Please contact your GP or Esthetica Clinic immediately, should the area become infected. These injections are an affordable treatment that anyone can access. This includes people who want to fight the signs of natural aging or those who have developed lines from exposure to the sun. Anti-wrinkle injectables are made from a drug made called Botulinum Toxin which has been FDA approved and used for both medical and cosmetic purposes for over 20 years with no known adverse effects. Botulinum Toxin injections have been FDA approve for over 20 years. Am I suitable for Botulinum Injections? Botulinum Injections Unlike some cosmetic medical treatments, Botulinum Injections are suitable for most people. You will need 1 injection. Botulinum Toxin Injections are usually ‘topped up’ every six months. Platelet Rich Plasma (PRP) therapy, also known as the ‘Vampire Facelift’ is a non-invasive cosmetic procedure which makes use of the patient’s own blood mixed with a product to promote collagen growth underneath the skin. It is a revolutionary repair system that places growth factors in the exact location where skin repair and rejuvenation is required. Am I suitable for PRP Vampire Facelift? The appointment will last 1 hour. The procedure itself takes around 20 minutes. Everyone is individual but we would expect patients to require 1 -3 treatments (7 weeks apart) depending on their age. Most people are suitable for PRP Vampire Facelift. It is recommended to wear sunscreen SPF 50 if exposed to sun. This treatment involves tiny superficial injections of a potent skin rejuvenating cocktail of vitamins, minerals and anti-oxidants into the skin. When this cocktail is injected across the skin barrier to where it can have an effect, it promotes the production of collagen and elastin, all while stimulating the skin’s metabolism. Unlike topical treatments which treat the top layer of skin, Mesotherapy works from within the skin to promote collagen, elastin, and cellular rejuvenation. Mesotherapy is not suitable for those who suffer from diabetes, skin inflammation or herpes. It is also not suitable or pregnancy. Microneedling works by stimulating the production of new collagen in the skin. This is achieved by puncturing the dermis with microscopic needles. The treatment utilises the skins ability to heal itself, in turn triggering the production of new collagen. In addition to treating pores, fine wrinkles, loss of elasticity, minor scarring (including acne scarring) and sun damage it also enables topical products to penetrate deeper into the skin, increasing their effectiveness. Am I suitable for Microneedling? Most people are suitable for Microneedling as it is suitable for all skin types. A topical numbing cream is use, so there is minimal discomfort. Some patients have described it to the feeling of a dry brush on the skin. You will continue to see improvements in your skin as your body’s natural repair process creates more collagen. Most patients see noticeable results after 4-8 weeks. The use of an IV bypasses the digestive system which allows for 100% absorption of vitamins, minerals and antioxidants into the body. Yes. This treatment will only be carried out by a Doctor or a Registered Nurse. Intravenous “within vein” therapy is a safe, fast and efficient way to deliver essential fluids and nutrients directly into the bloodstream. Chemical facial peels aim to remove the dead skin cells from the surface of the skin to allow new healthy skin cells to grow back creating a smoother looking skin. They can also be used to treat blemishes, scars and help reduce the signs of aging. What brand are the Skin Peels that you use? At Esthetica Clinic we use Skin Peels from Mesoestetic, Medik8 and SkinCeuticals. * The Pigment Balancing Peel (Glycolic Acid 40% + Citric Acid 10% + 27% pure Vitamin C + 4% Emblica pH 1.6). Most people are suitable for Skin Peels. Your medical history will be discussed with you prior to treatment as part of your free consultation. You will have an opportunity to ask any questions you may have. We may ask you to prep your skin for a week before your treatment at home with homecare products to help assist with the peel. We will always carry out a small test patch 24-48 hrs before your treatment begins. After your peel you may notice that the skin is more red than usual for two hours afterwards, you may also notice that the skin feels tight or dry and or you may experience some very mild flaky skin for a few days. Rarely you may experience crusting of the skin, swelling or a reactivation of cold sores. It is very important to use a sunscreen during the course of your treatment and for four weeks after to prevent uneven skin tone and excess pigmentation. Do not use any other skin products except those advised by your therapist. Patients with hypersensitivity to the sun should take extra precautions to guard against exposure immediately following the procedure, as they may be more sensitive following the peel. Please avoid strenuous activity for 24 hours. Whilst you may see some very minor benefits after a single superficial peel. We recommend a course of six peels, one or two weeks apart (depending on your skin type and skin conditions). This will give the best results, as superficial peels are gentler the full benefits of the peels build up over a course of six treatments. After a course of six peels you can have a once monthly maintenance peel or wait for three months before embarking on another course of peels. Semi-Permanent makeup is a type of cosmetic tattooing that applies pharmaceutical grade pigment to the skin. The aim of the treatment is to give the appearance of natural make up that perfectly complements your skin tone using the right combination of pigments to enhance your natural features. CryoPen™ is an advanced cryotherapy innovation that is a fast, effective and safe solution for removal of skin imperfections. Procedures typically last about 30 seconds, so you can be in and out of the med spa quickly. What is the treatment process of the CryoPen? The CryoPen emits a fine jet of nitrous oxide under high pressure to freeze the fluid in the target area. This can successfully remove the tissue, because we can rupture it from the inside-out. Treatment is incredibly precise, so no healthy tissue will be affected during the process. We can safely and effectively treat a wide range of skin blemishes on the face and body. These include skin tags, warts, verrucae, pigmentation, milia and cherry angioma. You may experience some slight discomfort during the procedure. This may feel like pressure being applied to your skin, but it should only last a few seconds. After the procedure, you may experience some stinging in the affected area. This should subside within the same day as treatment and is completely natural. The results achieved by the CryoPen are permanent, though they cannot prevent you developing new blemishes. It may be necessary to have more than one session to achieve your optimum results. In some cases, just one treatment can yield your optimum results. However, it is common for clients to need more than one treatment session to ensure you achieve your best results possible. The most complete and effective solution to combat the signs of ageing and fatigue in the periocular area. Perfect for fine lines, wrinkles, under eye bags, dark circles and even drooping upper eyelids. Global eyecon is a convenient, effective programme combining both a peel with a trans-epidermal solution – both exclusive for the periocular area – achieving visible and cumulative results after the first session. A solution created with products specifically developed for this area, with excellent skin and eye tolerance to achieve the maximum therapeutic efficacy. The global eyecon periocular treatment protocol is a programme comprising of 6 sessions, alternating 3 periocular peel sessions with 3 trans-epidermal sessions. How does a treatment look like? The 1st, 3rd and 5th sessions consist of application of the periocular peel, a specific peel for antiaging and antifatigue treatment of the eye contour containing ingredients with depigmenting and antiaging action. It has a gel-like texture preventing product migration for greater safety during application. During the 2nd, 4th and 6th sessions, the periocular solution is used which is a transepidermal solution containing ingredients with depigmenting and decongestant action in the microcirculation. It is suitable for vehiculation with microneedling. After using the microneedling technique, the crystal fiber eye mask will be applied, a hydrogel mask with depigmenting, moisturising and antifatigue action that provides soothing, freshness and comfort after the treatment. Cosmelan is the world’s leading hyper-pigmentation ‘removal’ treatment, that can be used to treat Melasma, Chloasma, as well as post inflammatory hyper-pigmentation (PIH), caused by injury or acne. What makes this peel different? – Stopping the appearance of new dark spots. The treatment is safe for use on any skin type and usually only one treatment is required to see a significant improvement of the skin. In 99% of the cases there is a reduction in hyper-pigmentation by up to 95%. The Pixel laser is a resurfacing laser that can dramatically improve one’s skin without significant downtime or discomfort. This laser is ideally suited for the treatment of sun damage, fine lines, resistant pigmentation, acne scars, roughened textures, and enlarged pores. It may also help reduce fine lines and skin laxity on the face, neck, chest and arms and hands with little to no downtime. How does I Pixel work? The I Pixel laser is an FDA-approved resurfacing laser that creates small microscopic wounds within the skin that heal and stimulate new collagen production that in turn tightens and smoothes out the skin’s surface. The I Pixel laser treatment is very well tolerated and has almost no discomfort – a significant advantage over some other fractional resurfacing devices. A mild burning sensation may occur towards the end of treatment but this is usually very mild in nature and lasts only a short while (30 minutes to three hours). Where can the I Pixel be used? The I Pixel is safe to use on virtually any area of the body. It is most commonly used to treat sun damage and aging changes on the face, neck, chest, arms, and hands. It may at times be used in conjunction with other lasers depending upon the condition of your skin. Your skin looks brighter, fresher and more relaxed within a few weeks of the procedure.